Enter the segmented world of the bristleworms, found from the ocean’s depths to the high tide line. Sedentary terrebellids live under rocks in tubes, with a spectacular floral array of tentacles coming from their heads, while errant nereids meander about the mud. There are scyllid polychaetes so small, they may only be seen by teasing apart the tissues of sponges. AS-20 POLYCHAETE ASSORTMENT. 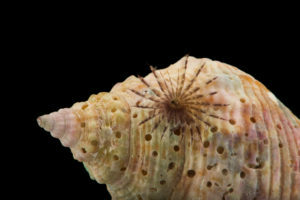 To include unnamed terrebellid, nereid, and cirratulid, tube building, free living and encrusting polychaetes that live in sponges, corals, and tunicates. A veritable grab bag of worms. tube, which can be replaced by glass to observe the elaborate specialization of segments. The worm is brilliantly luminescent. 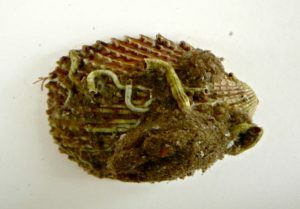 A small commensal crab is usually found in the tube. Sporadically available. Size: 15-30 cm. tube length. 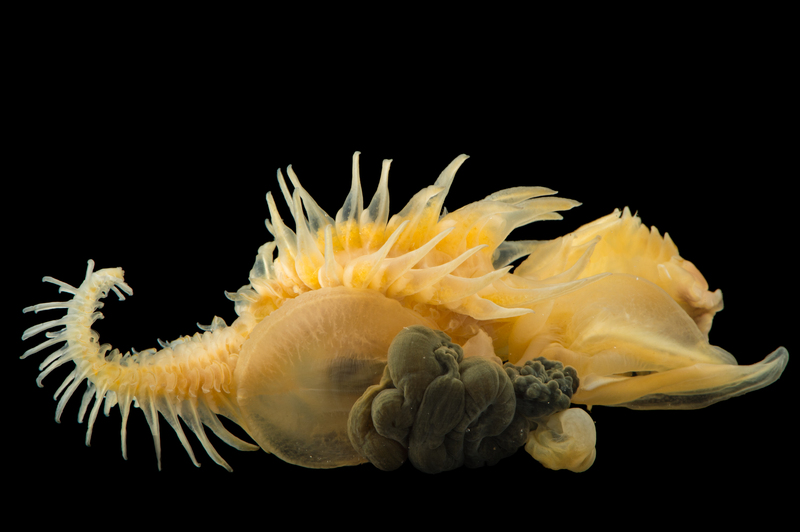 An-410 PLUMED WORM, Diopatra cuprea, a bizarre, plumed polychaete that decorates its tube with bits of shell, seaweed, hydroid, and tunicates. The worm itself is brilliantly irridescent in the sunlight and has well developed mouth parts. Size: 4-8 cm. Ragworms (Nereis eiversicola) at Gulf Specimen Marine Lab and Aquarium. polychaete with large jaws and well developed parapods. They are excellent for demonstration under the disecting scope. As active errant polychaetes they leave their muddy “false tubes” and prey upon other polychaetes. Their irridescent colors will delight students. Size: 4-8 cm. A feather duster worm (Sabella melanostigma) at Pure Aquariums from the Gulf Specimen Marine Lab. this handsome little polychaete lives in a brown tube drilled through dead shell and limestone rock. (See purple worms in photo, click to enlarge.) They quickly contract their maroon, light-sensitive and intricately branched tentacles at the approach of a shadow. If attacked by a fish, Sabella will autotomize its feather crown of tentacles and regenerate another. Size:4-6 cm. 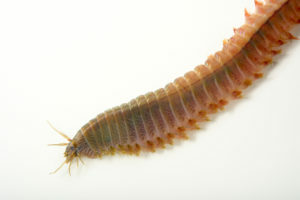 An-490 CALCAREOUS TUBED WORM, Hydroides crucigera. A small serpulid worm that secretes a twisted, white lime tube on pieces of shell, rock or seaweed. Two feathery lobes of respiratory tentacles expand from the end of the tube. Serpulids have been used traditionally to demonstrate regeneration. Size: 2-4 cm. 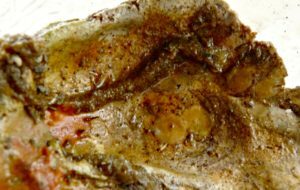 An-491 ENCRUSTING SAND TUBED WORM, Saballaria, sends its thick course grained tubes all over the shells of dead oysters, clams, etc. Inside is a fat pink worm with greatly recessed cephalic tentacles.